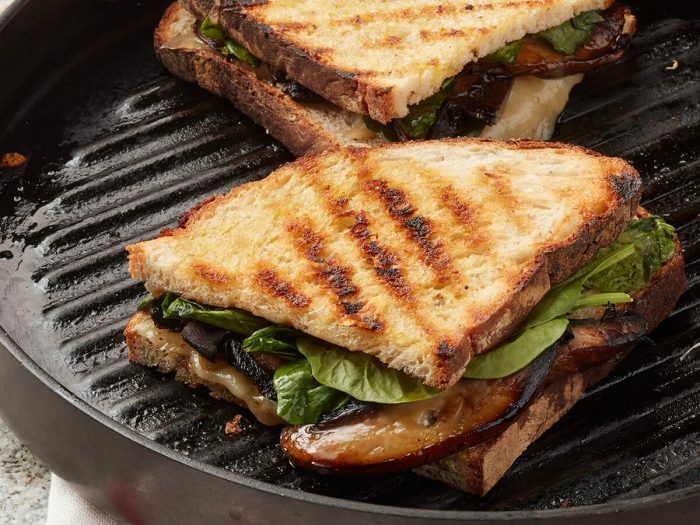 Portobello Panini with Fontina and SpinachA splash of balsamic gives these meaty mushrooms some tang to balance out the creamy fontina and earthy spinach in this quick panini. Do take this preparation – both the cooking of the mushrooms and the sandwich itself – out to the grill in the summer months. Or use a panini press, if you’d like. Scrambled Eggs with Prosciutto, Fontina, and ChivesStir and scramble these eggs to create soft, creamy curds, studded with Italian ham and cheese. Serve on top of garlic toasts with a green salad for a wonderfully quick weeknight dinner.